The Saturday of that weekend was devoted to disc golf, and Sunday was focused on the singles format freestyle event in which each participant was to receive a given number of throws from a designated thrower. The judging system was the same sort of basic ranking scale that was introduced and used for the Canadian Open Freestyle event that previous August. 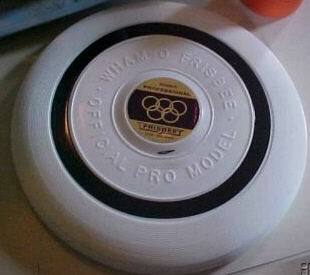 The Super Pro Frisbee disc had made its debut by then, and was used by the majority of the competitors. Included in the field were John Kirkland from Boston, and Victor Malafronte from the Berkeley BFG. From Chicago came John Connelly, Tom Cleworth and Jose Montalvo. John Sappington and Scott Dickson came from Ann Arbor Michigan. Kerry Kollmar and Mark Danna swooped in from New York City. Peter Bloeme, making his Frisbee competition debut, came along with Mark and Kerry. Irv Kalb, Jimmy Scala, Stork, Bob “Flash” Kingsley, Gary Seubert, and Dave “Buddha” Meyers comprised the local New Jersey contingent. Jim Palmeri and Doug Corea drove down from Rochester, NY. As Jim Palmeri recalls, the participants of the Jam woke up that Sunday morning to the most perfect October weather you could imagine; blue sky, 70 degrees, and just a whisper of a steady breeze. The fall leaves were turning color and gently wafting down around us from the trees of Johnson Park. If only there was a video of the setting to show everyone how ideal the conditions were. They were truly perfect for the memorable event that unfolded that day. The refinements in multiple tipping control and smoothness of catch and re-throw that developed since the epic jamming that took place at the American Flying Disc Open two months earlier were phenomenal. As each of the competitors took their turn, it seemed that the crowd had to be thinking “Wow, how can anyone top this!” Some of the competitors did indeed come up with something extra. When John Kirkland got up there and displayed his stuff with all the bravado he is noted for, it seemed that it was all over as far as who the winner was going to be. But then Scott Dickson followed with a drop-less routine as clean as you could be for the times. He peaked with a beautifully executed finger-tip that sent the disc over his head and straight down behind him, then flicked his foot backwards just at the right moment and popped the disc straight back up with his heel, executed a leaping half turn into the air and caught the disc between his legs. From the throw to final catch the disc did not wobble a millimeter. From today’s standards that may not sound like much. But on October 13th, 1974, especially when his Frisbee of preference was the smaller, faster “Pro Model” guts disc, it was absolutely phenomenal. It seemed unlikely that anyone would top Scott’s routine. But then Stork took the field, his designated thrower was Irv Kalb, perhaps the best thrower on the planet at that time, delivering Stork exactly what he needed for a very well planned out and choreographed set of throws. His first couple of throws went as expected. They consisted of a tip or two of control, closed by a basic behind the head or behind the back catch. Well executed and very clean, but no Scott Dickson beaters. Dan then gave Irv a signal, and Irv delivered a mighty air bounce with as much spin as humanly possible. Stork reached up with a thimble-covered finger, made contact with the spinning disc on the underside of its rim, changed its attitude upward a bit, and then flicked it away from him into the wind. He chased after it, striking the disc on the rim with his hand when he got to it, causing the disc to glide away from him. Stork sprinted after the disc, and again propelled the disc away. He repeated this sequence of rim strikes a couple more times, and then after the final whack, he did a high graceful hurdler style leap, catching the disc between his legs at peak height. No one had ever seen such a sequence of moves! He had kept it a secret because he wanted to showcase it at the Jersey Jam for effect, and boy did it have effect! Everyone was just blown away! Stork continued his routine by treating us to a couple more sets of the rim striking sequence before closing with an introduction to the constorktion type of catches for which he was to become known for during the early freestyle era. The competitors make the judgment that Stork’s routine was the best, and declared him the winner of the first-ever freestyle event to be held in the USA. In historical perspective, Stork was the first person to ever use a thimble on his finger during a routine, using it effectively to set the disc up for his particular moves. However, he got the idea from observing Jose Montalvo at the ’74 Canadian open using a “Molina stick” to set up an incoming disc for just the right attitude to do neat behind the back and between the legs catches. Dan figured that he would take it a step further and incorporate a new move that he had seen Kerry Kollmar do earlier in the year at Rochester. The use of the thimble was key because at that time no one could consistently get the disc positioned for propelling it forward with repeated strikes to its outer rim as Dan demonstrated in his Jersey Jam routine. Kerry, who initially had invented the move, had called it “side tapping,” but Stork was unaware of that name when he first learned the move from Kerry, and had dubbed it “air brushing” when describing Kerry’s invention in subsequent discussions about freestyle. The term “Air Brushing” was first seen in print in a Flying Disc World newsletter article, and that name stuck ever after. The impact that the Jersey Jam competition had on the players was a significant catalyst to the already rapidly growing interest in freestyle competition, and set the stage for what was to come. During this fall 1974 period of time, John Kirkland and Victor Malafronte getting hired to do the pregame entertainment program for the 1974-1975 Harlem Globetrotter nationwide basketball game exhibition series further set the stage for the development of freestyle. Ed Headrick invited the core group of competitors at the Jersey Jam to a reception for John and Victor at Radio City Music Hall in New York City that Saturday evening of the Jersey Jam weekend to announce the big news about the guys getting hired for the gig. Throughout the entire 1974-1975 basketball season, thousands of people from coast to coast were exposed to an exciting freestyle exhibition for the very first time, and who knows how many of the spectators went home and tried fancy Frisbee throwing for themselves after seeing John and Victor do their magnificent exhibition. 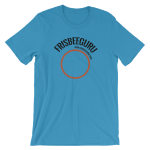 Thanks to the Freestyle Players Association (FPA) for sharing this information with FrisbeeGuru.com. The entire document is stored on FreestyleDisc.org, as is the FPA’s Hall of Fame. Dan Roddick and Flash Kingsley created a big overall event of national scope called the “Octad.” “Eastern Trick Catch” was one of the eight contested events in the tournament. Eastern trick catch was a game Dan had invented back in the 60’s; points were awarded for trick catches as two players exchanged throws as opponents. Ken Westerfield and Jim Kenner included a new event at the third annual Canadian Open Frisbee Championships. The event was called “Freestyle” as promoted on the poster for the tournament, and was also called “Free Form” as noted on the trophies that were awarded. This event happened on August 18, 1974, and marked the first ever judged competitive freestyle competition to be held anywhere. 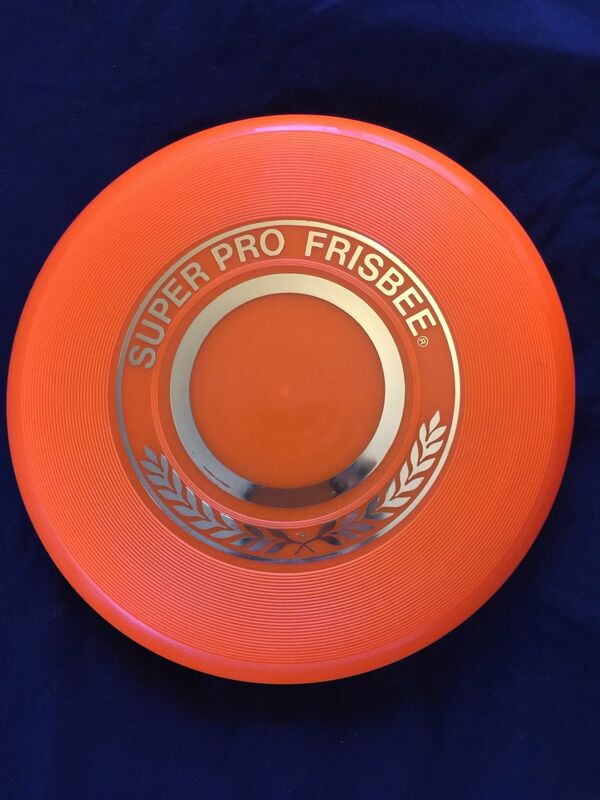 The Super Pro had been introduced in test markets, but hadn’t reached the general market yet, so the discs being used were the venerable Wham-O Pro model and the CPI All Star. There is absolutely no question that the freestyle for pairs event at the 1974 Canadian Open represents the origin of freestyle competition as we know it today. It had it all; the current state of the art players in the game; pairs playing to music for a timed routine; and controversy over the best way to judge. The basic format put together by Jim Kenner and Ken Westerfield on that day well over 42 years ago, is still being used today. There were only eight teams at this inaugural freestyle for pair’s event. Sixth place went to Irv Kalb and Dave “Buddha” Meyers. Irv put on an awesome display of multiple tipping disc control coupled with the smoothest flowing trick throws the planet had yet seen. Buddha introduced the infamous under-the-shirt catch that was destined to become a trademark for the future Dave Johnson-Chuck Schultz type of the “we’re going to have fun even though we can’t freestyle” routines that were an integral part of the early freestyle scene. Fifth place went to Doug Corea and Jim Palmeri, (Corea’s future partner Dave Marini hadn’t learned anything fancy yet). Because Jim could manage a catch or two behind the back or between the legs, Doug settled for him as his partner. They placed fifth on the strength of Doug’s huge leaping catches and smooth flowing re-throws. John Kirkland teamed up with Jose Montalvo to bring home 4th place. John’s dynamic style of play and Jose’s use of a device called the “Molina Stick” foreshadowed things to come in freestyle. Incidentally, it should have been called the “Montalvo Stick,” but it was erroneously named “Molina Stick” in a Flying Disc World article, and the mangled name stuck. Third place went to Tom Cleworth and John Connelly of the Highland Avenue Aces guts powerhouse. They showed the disc world that the game of guts was not their only disc talent. Tom and John displayed mastery of multiple tipping and trick throwing that was indeed Irv Kalbian in nature. Dan “Stork” Roddick teamed up with Chicagoan Bruce Koger. Their routine introduced and set the stage for co-op moves. They did a fabulous job of working together and settled for second only because the pair ahead of them also did an incredible job. Somebody had to be second. Jim Kenner and Ken Westerfield were absolutely awesome. They set the early standard for flow, presentation, continuity, and execution with a variety of fast throws, leaping kick-ups and trick catching. Their transitions from catch to flowing re-throw were silky smooth. As good as the second and third place routines turned out, Kenner and Westerfield left no doubt as to who had the overall winning routine. The primordial first ever judging system wasn’t overly stressed because the good, better and best of the top three routines were obvious enough for the simple ranking system that was used that day. Westerfield and Kenner were sandbaggers though. They were no neophytes that had gotten their taste of freestyle moves just two weeks earlier like most of other players in this event. They had been doing shows and freestyle type demos for several years together, and they clearly demonstrated their experience and expertise. The competitive freestyle art form, which began its gestation at Berkeley, Michigan, and in Toronto, was born at the Canadian Open on Sunday, August 18, 1974, at approximately 3:00 PM Eastern Daylight Savings Time.